The IFP calls on government to find an urgent solution to the ongoing Mamelodi bus and taxi route dispute which has now turned violent. 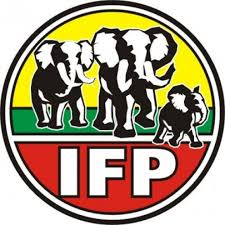 “We want to see greater action being taken by government in addressing this matter and urge that negotiations and interventions must be stepped-up in order to quell the violence that is now beginning to erupt in Mamelodi,” said IFP National Spokesperson on Transport, Mr Petros Sithole, MP. “We further call for the MEC of Transport in Gauteng, Mr Ismail Vadi, to urgently intervene and negotiate with AutoPax in order to allow taxis to operate on some of the routes in the interim as this may alleviate some of the existing tension that is leading to the violence. If taxi operators are allowed to operate they must agree to charge the same fare prices as commuters were paying on the Putco busses as there are complaints that the taxis are too expensive. Furthermore, the taxi associations must agree to drop off commuters at their respective places of work just as the Putco buses did,” continued Mr Sithole. “This situation also calls for government to consider the importance of empowering the taxi industry. It would be prudent for government to offer a subsidy in this regard. Stakeholder consultation must also be extended to taxi owners by government and the industry should be invited to participate in all discussions regarding public transport in their respective areas,” concluded Mr Sithole. Should no agreement be reached, then the Putco bus service should resume their routes. The commuters interests must be placed first.